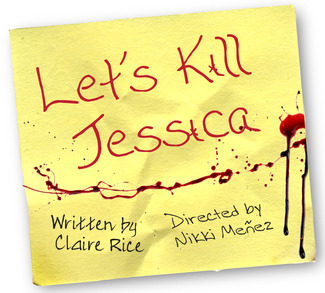 Awesome Theatre wants YOU to audition for our Fall production, "Let's Kill Jessica" A new dark comedy Written by Claire Rice and Directed by Nikki Meñez. "Let's Kill Jessica" is a twisted new office comedy where three women named Jennifer plot to murder their co-worker Jessica, who is like, the worst. What happens next is bloody, dark, funny and ultimately teaches us all a lesson in working together. Just kidding, Hell is other people. Auditions will be held at PianoFight on 144 Taylor in San Francisco. May 5 & 6. Please bring a 1-2 minute contemporary comedic monologue and be prepared for some cold reading. Rehearsals will be September 2 -25. There will be 8 performances on Thursday Nights at 9PM at PianoFight in San Francisco. Performance dates are Sept 26, & Oct 3, 10, 17, 24, & 31 Nov 7, 14. Non AEA, actors will be provided with a $200 stipend. Jen (F) 25-35 - Senior office associate. Wants to be her best self. Makes a to-do list about which to-do lists she'll write next. Up tight. She probably never would have killed anyone if she wasn't so angry at her life, but here we are. Jenny (F) 25-35- Secretly creepy. Thinks she's funnier then she is. Excitable, but easily underestimated. Doesn't care about this job or the people. This murder thing is the best thing that's happened to her in a long time. Honestly, she probably would have ended up killing someone at some point. Jennifer (F) 25-35- Driven by a need for attention. Risk averse but also a people pleaser. Hates working at the office and would probably have quit in about a year if this whole murder thing hadn't come up. Jessica (F) 20's The most annoying woman in the office, but if you got to know her you'd actually probably like her, even though she was still annoying. She was at the lowest point of her life BEFORE three women decided to kill her. Is having a hard time accepting that she's getting older. Loves this job...but also isn't really aware of her own feelings enough to know she hates this job. Cop/All Men (M) 25-35- Authority figure and shadowy stage hand. A nice man who is soft spoken but serious. The type of man who would get a job playing a handsome cop on TV if he were an actor. Actors of all races and gender identities are encouraged to audition.